Thank you to everyone that entered our little summer giveaway! I loved reading everyone’s favorite things about summer! And thank you again to Genie of Petit Plume for providing one of her lovely headbands for this giveaway! Head over to her Etsy store to see more of her handmade creations. Also, a special thank you to my lovely sister for modeling the headband! We met up for dinner one day and literally the minute I saw her I thought, “Omg, you look so cute today! Time for a photo shoot!” I grabbed my camera, made her put on this headband, and we headed outside for a quick 5 minute shoot. You’re the best, Leanne! Now on to our winner (selected using Random.org)…. 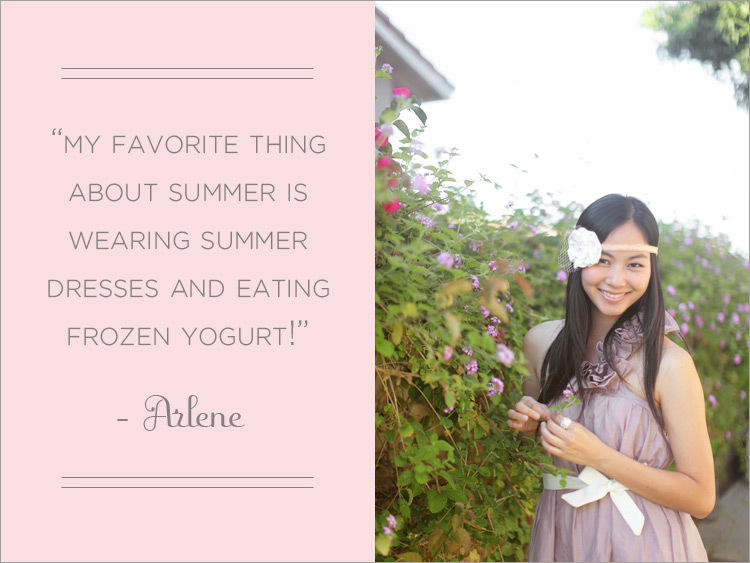 Congratulations on winning the Petit Plume headband, Arlene! Hope you enjoy wearing it this summer! Look out for an email from me.